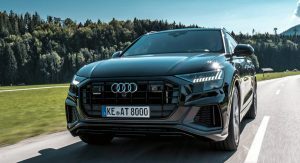 ABT Sportsline is one of the first companies to release a tuning kit for Audi’s flagship SUV, the Q8. 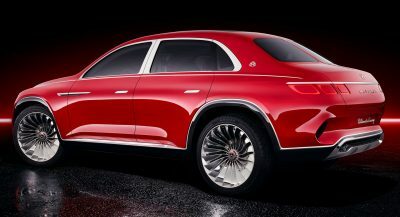 For now, the changes are limited to a power kit, larger alloy wheels, and minor interior tweaks. However, a more comprehensive package is in the making. 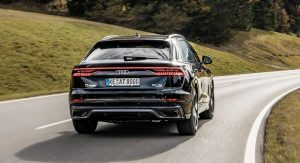 The highlight of ABT’s modifications is the power kit for the Q8’s 3.0-liter TDI V6 mild-hybrid. 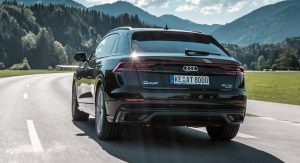 The ABT Power kit with the additional control unit ABT Engine Control offer a consistent power supplement for the Q8 50 TDI quattro. 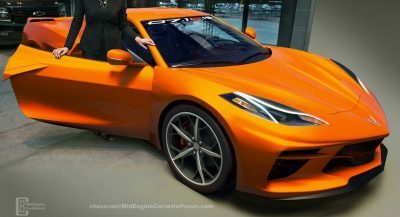 Power goes up 15 percent from 286 PS (282 hp) to 330 PS (325 hp) while peak torque rises from 600 Nm (442 lb-ft) to 650 Nm (479 lb-ft). 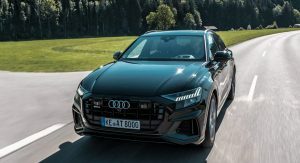 ABT fails to say how that impacts on the Q8’s performance, however. Still, we’re pretty sure the 0 to 100 km/h (0-62 mph) time gets cut by a few tenths of a second compared to the stock model’s 6.3 seconds. 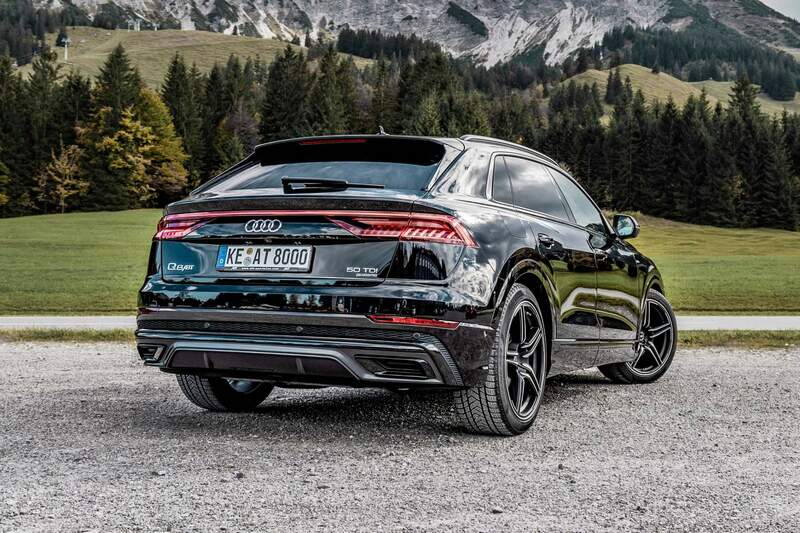 There should be a slight increase in the top speed as well over the standard Q8’s 232 km/h. 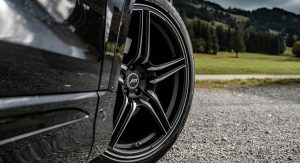 The other upgrade ABT gives the Q8 is a set of massive 10×22-inch wheels. 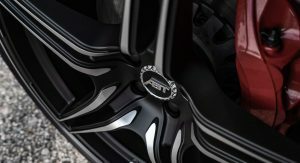 Customers can choose between two designs: the ABT FR in black with polished spoke edges and the ABT Sport GR with a concave rim base. The latter is available in matte black or gloss black. 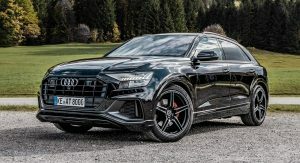 Those who seek a more individual look for their Audi Q8 should know the tuner also has an aero kit for the Q8 in the works. As for the interior, ABT only offers subtle tweaks for now. 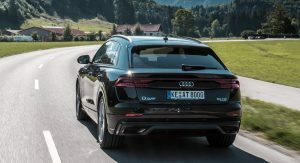 Those include a start-stop switch in high-quality metal and the door welcome lights that project the ABT logo on the ground. Doesn’t look great. Bad wheels. 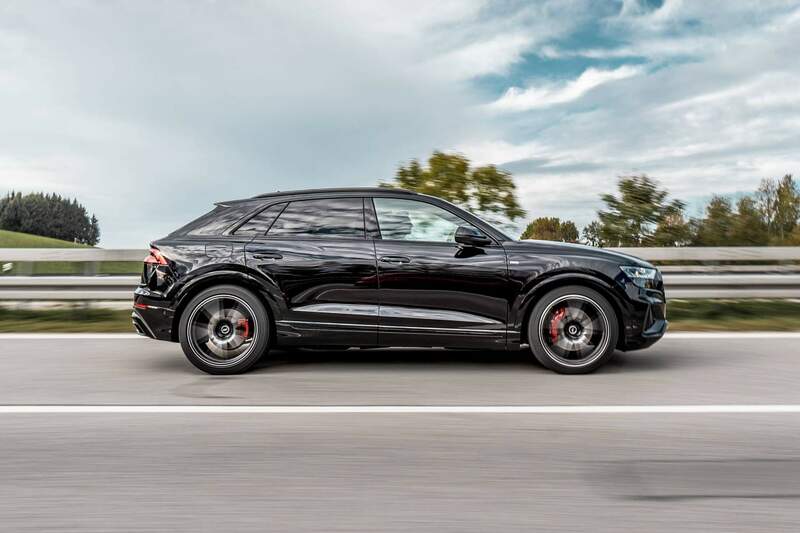 Black isn’t a good color for the Q8. 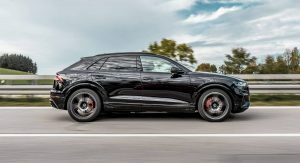 The front ends of Audi’s are getting progressively uglier. Wow looks pretty good! 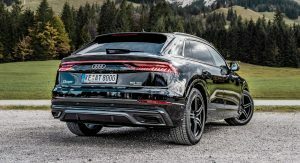 Blacked-out helps hide the mess of a grille the Q8 has.